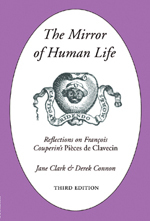 A handbook to François Couperins harpsichord pieces, with explorations of the social, literary and theatrical worlds from which he drew so much of his inspiration. This is a second, revised edition of the book first published by Kings Music in 2002, incorporating the latest research and including a new essay by Jane Clark on the architecture of the Ordres [more about this book]. Price: £14.50 plus post & packing. 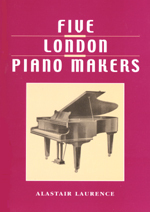 The artistic, technical and commercial aspects of piano making, illustrated by the histories of five famous firms: with biographies of the colourful characters who created them, and anecdotes from the factory floor [more about this book]. For a sequel, scroll down to the next item. 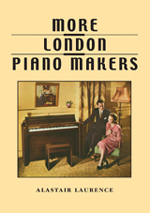 This is a sequel to Five London Piano Makers by the same author (see above), with histories of six more piano-making firms, presenting a picture of a bustling craft industry based in the streets around Camden Town in North London [more about this book]. 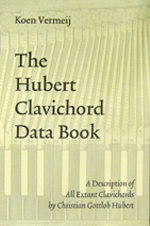 A study of all eighteen surviving clavichords made by Christian Gottlob Hubert (1714–1793), illustrated with over 700 photos and comprehensive descriptions of each instrument. New edition, published by Keyword Press [more about this book]. Price: £90.00 plus post & packing. The indispensable guide for all clavichord owners, amateur or professional. [more about this book]. A new edition is in preparation. Please e-mail us for further information or to reserve a copy in advance. For details of post and packing charges, click here.